comfort you! Doesn't that make you happy? 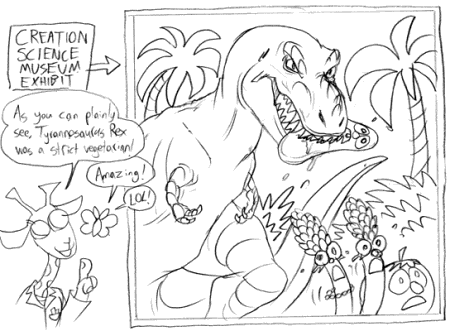 showing Pepper his new dinosaur exhibit! dinosaurs were vegetarians (plant eaters)? God told us so in the Bible (Gen. 1:30)! 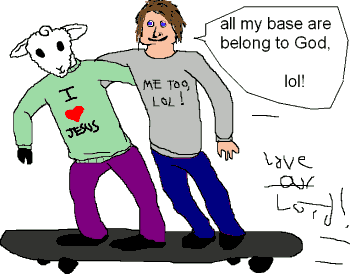 Brendon drew him and me skate boarding! YAY! we can zip past all the bad things! "I like to darw and i luv jesus." about the dangers of coffee! HOORAY! 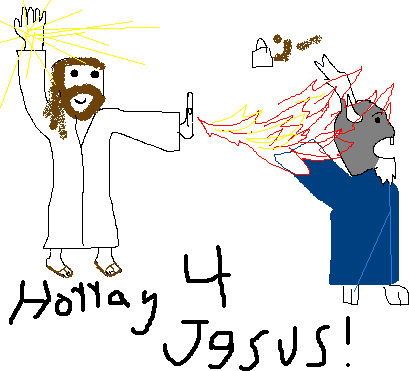 JESUS LOVES YOU, MR. GRUFF! 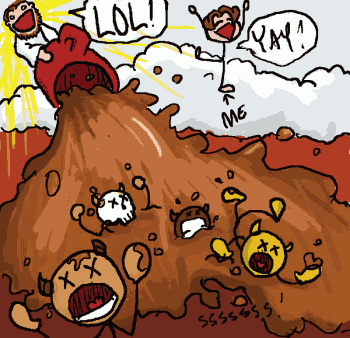 YUCKY COFFEE and SILLY DEMONS! big musclews becsue the lord is mitey"